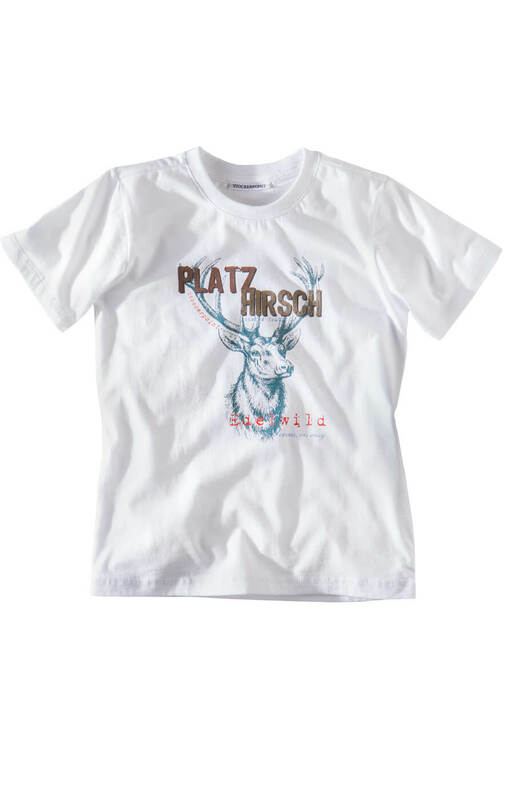 Hansi boy’s traditional white T-shirt. 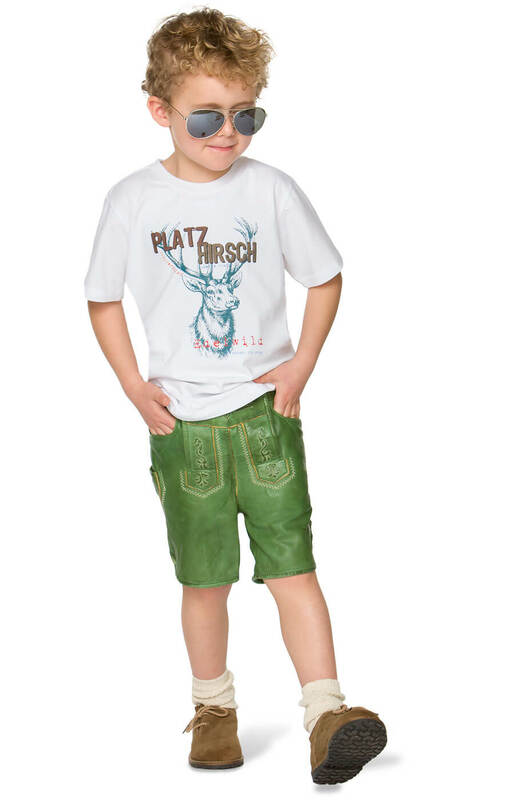 Boys will be sharp and ready for any occasion in this traditional white T-shirt. 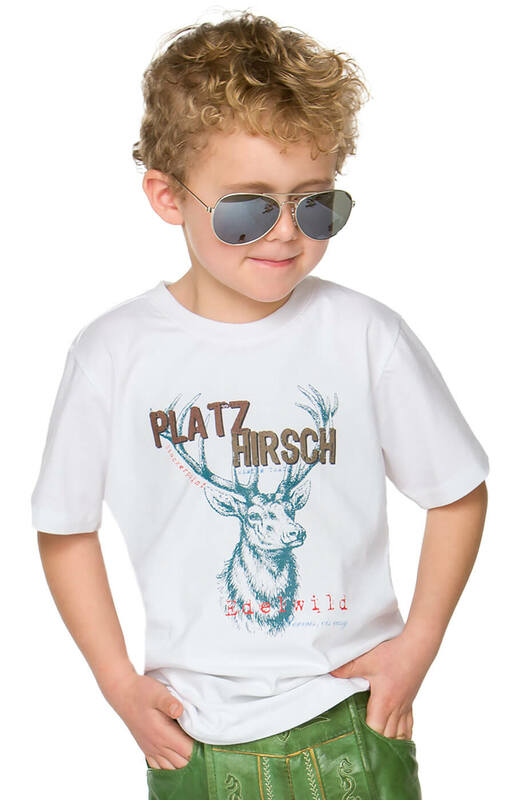 Made from 100% cotton, the T-shirt features a bold deer head print on the front, which is a traditional Bavarian-style design, while the sleeves are designed to grace the elbows to provide children with plenty of versatility to play in comfort.